Maplewood Senior Living communities offer onsite 24/7 licensed nursing coverage in all of its assisted living and memory care communities. That means added peace of mind for you and your family members. 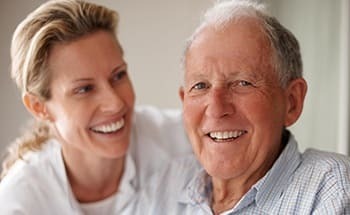 Knowing that a licensed nurse is located onsite, 24 hours a day, 7 days a week, adds an extra measure of care to what our residents and their families can expect from all Maplewood Senior Living communities. This service delivery means Maplewood has a decreased number of unscheduled visits to the emergency rooms of hospitals. Residents – and family members – feel good knowing that a licensed nurse is in each community around the clock. Maplewood Senior Living communities strive to live by our philosophy, 365 days per year. 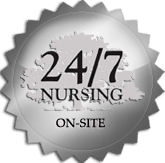 Our commitment is to allow a world of options – all within arm's reach – provided by passionate associates, including 24/7 on-site nursing care. Call us today for the opportunity to meet the Resident Care Director in person.